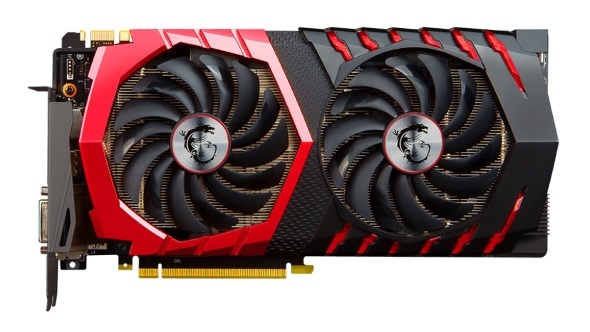 The MSI Gaming Twin Frozr is one of many GTX 1070 Ti designs the company have launched for Nvidia’s most recent graphics card addition. It’s no surprise that this is yet another thermally-sound card from MSI, but due to the lack of factory overclocking on Nvidia’s latest GPU, you won’t see much more in the way of performance over Nvidia’s reference design – unless you crank up the clockspeeds yourself. Want some free performance from your graphics card? Here’s our overclocking guide. MSI’s Twin Frozr design is a staple of GPU cooling tech since it first launched, and they have been steadily tinkering and updating it ever since. The GTX 1070 Ti Gaming comes with the Twin Frozr VI design introduced with Pascal ten-series Nvidia GPUs, and is more than capable of keeping the latest Ti cool and quiet. MSI’s Twin Frozr design barely breaks a sweat under gaming loads, and is completely silent at idle. Our reference design card reaches peak temperature at 83°C, yet the MSI Gaming barely runs its fans whatsoever for a breezy peak temp of 68°C. Performance of the MSI Gaming is almost identical to the reference design at stock clockspeeds since factory overclocks have been disabled at Nvidia’s request. With this in mind, it may be time to do a little overclocking ourselves – and the MSI Gaming Twin Frozr offers plenty of power and thermal headroom to push those clockspeeds up. MSI haven’t included any Gaming App profiles this time around, unlike their GTX 1080 Ti Gaming X Trio we recently took for a spin, so it’s all manual from here on out. Our reference design card manage to hit a fairly considerable overclock of +225MHz offset on the core clock, and +455MHz offset on the memory, yet the silicon lottery gods were seemingly frowning upon us with the MSI Gaming. We managed to get a stable overclock of +490MHz offset on the memory, yet could only keep the card steady at +150MHz on the core clock in MSI’s Afterburner utility – anything beyond this was causing frequent crashing. Either our reference card was one in a million, or the MSI card was an unlucky silicon lottery loser this time around. Despite the core clock lacking a little, gaming performance wasn’t heavily impacted in some titles, indicating a likely GDDR5 memory bandwidth bottleneck capping the top-end performance of the card. Despite a thermal limit of 92°C and a power limit bumped up to 133%, the card keeps to a chilly 70°C max temp, and was largely inaudible – even under load. The reference design didn’t fare quite so well on either noise or temps once those clockspeeds were ramped up beyond the stock spec. Even with our fairly lacklustre overclocking stability, which is partially a roll of the die, performance is going to see a hefty boost for very minimal extra effort with the GTX 1070 Ti, boosting the card closer to GTX 1080 performance at no expense to the user. Yet, at $489 / £490, this puts the card close to the realms of some of the cheaper GTX 1080s – the unfortunate price of peace and quiet. Due to this price bump, it’s hard to justify this card over a similarly priced GTX 1080. 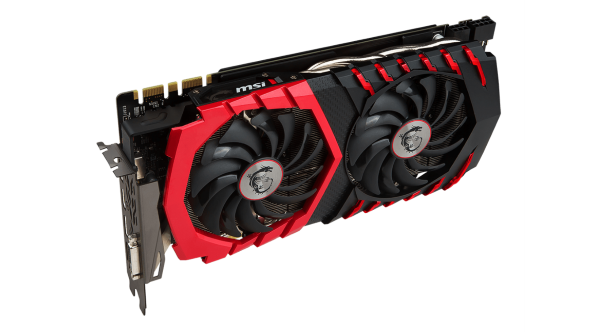 The MSI Gaming Twin Frozr VI offers the GTX 1070 Ti’s overclocking chops, yet without having to sacrifice near-silent operation and exceptionally low temps – if you haven’t angered the silicon lottery gods at least. Unfortunately, due to the the 1070 Ti Gaming’s tall price tag, it’s a hard sell due to the 1070 Ti’s very slim market position, an issue facing all third-party graphics card manufacturers. The $490 / £489 price tag is only a single Starbucks coffee away (at least in the UK) from cheaper GTX 1080s right now, and that’s an offer you’d be silly to refuse.